There is a new website called Tea Party Jesus, THE WORDS OF CHRISTIANS IN THE MOUTH OF CHRIST.On it is the following graphic showing Jesus speaking the words of the "God-centered Christian," Glenn Beck. Other right wing, self identified "Christians" are also depicted there in a similar manner. Has Beck ever apologized for this? No; he's too busy planning his next money making scheme, Bek Yuunaverscity. This snide observation is not based upon just one or two statements made by this gifted, if ignorant, anti-progressive propagandist; it's based upon what has been studied directly and what has been reported in the media including the following. At About.com: political, a selection of quotes are compiled on their Glenn Beck Insane-o-Matic Quote Generator. Because bloggers are allowed a fair sample of a reference, the following is the first example among dozens of other quotations deemed by the site as more or less as "insane:"
Two-time Pulitzer Prize winner for The Age of Reform (1955) and for Anti-Intellectualism in American Life (1963), Richard Hofstadter, examined "The Paranoid Style in American Politics" in 1964. It is a brief history of Beck's predecessors in America as well as a review of those employing it when he wrote the article. Then, the paranoid style was being used by the John Birch Society and a now obscure, former candy manufacturer, Robert Welch, who picked up Senator McCarthy's mantle. Like Beck, Walsh documented his anti-Communist claims with research. Welch declared President Eisenhower “a dedicated, conscious agent of the Communist conspiracy”–a conclusion, he claimed that was, “based on an accumulation of detailed evidence so extensive and so palpable that it seems to put this conviction beyond any reasonable doubt.” Sound familiar? 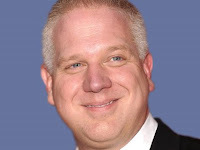 For those who watch The Glenn Beck Show on Fox, this analysis will seem prescient; but in fact Beck is standing in a long line of propagandists who have used the paranoid style to convey how dangerous the "others within" are. For Welch, the "others" were President Eisenhower and "radicals" in his Administration. For Beck the "other," the enemies within, are President Obama and the "radicals and revolutionaries" in the current Administration. A maxim heard from Professor Ross 27 years ago comes to mind: "The more things change, the more things remain the same; and the more things remain the same, the more things change." 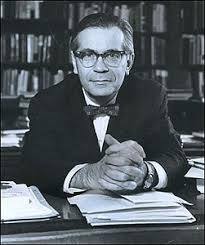 What has changed in the 46 years since Hofstadter published his analysis is the media by which the paranoid style is used. Fox offers Beck a platform to convey his fantasies to millions of folks who then suffer from both the travails of actual history and the made up, some would call, "insane rantings" of Beck. Many of them dutifully pass Beck's paranoid fantasies along on the Internet without so much as a hint of fact-checking. What is astonishing is how other "reputable" scholars like Professor Schweikart contribute to the fabricated history that is Beck's holy war on Progressivism and the President. See "Beck's guest, Larry Schweikart, makes bizarre claim." This was really good as always. 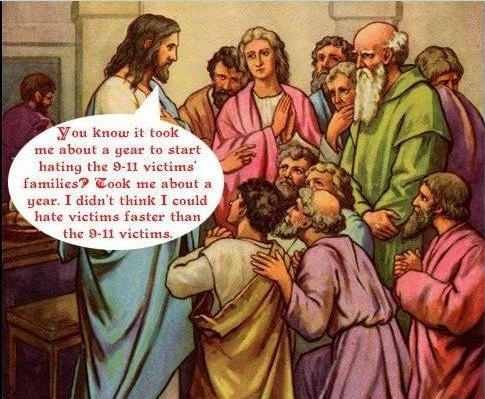 I clicked on that Jesus site and it was quite eye opening in general. Thanks for another great bit of info about Beck!